Is it really the end of Blogging era? It was year 2012 when I started blogging since writing is my hobby and emotional outlet. I tried different platforms like Tumblr, Blogspot, and Wordpress. I document what happen on that certain day, what I did in school, things I like, etc. until it became my online diary. While most people were expressing their thoughts in one phrase and posting it to Facebook, I enjoyed expressing my feelings in a long narrative form and posting it to my blog. I din't care if there are people that takes time to read them. To my surprise, there were few people who actually reads them! It makes me happy whenever I see someone commenting on my blog post. I continue what I'm doing. I started posting my "Outfit of the Day" (OOTD), Life events, product reviews (not sponsored), and just basically about my Lifestyle. 2 years after, when I decided to permanently move to Blogspot and bought my own domain. I officially launched this blog, Living Beyond Style. Same content but in a different approach. Many opportunities came; I was invited to attend events, met few blogger friends, and.. on that same year, I had my first paid article! and the rest was history. Making money out of this hobby never occurred in my mind that's why I consider it as a blessing. Little did I know, my passion in writing became my profession. Blogging really changed my life. 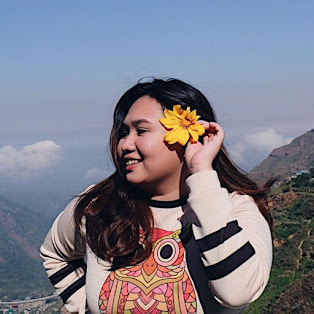 Before, I was that little "shy" girl who would choose to sit in a corner and be with just few people, but because blogging has opened a lot of doors for me, I became sociable and more adventurous. Fast forward to the present.. a lot of things has changed! I will never forget when I heard someone said "Blogging is a boring version of Vlogging" I was hurt. Maybe, he has a point because to be honest, people these days will choose to watch entertaining videos than reading an article on a blog. Which is the main reason why most bloggers moved to a different platform called "YouTube" Well, it's a hype! But remember, "Vlogging" will not exist without "Blogging"
While I'm sitting here, writing this blog post, I found myself thinking about how the blogging community has changed. Nowadays, popularity is based on numbers that's why even the social media became toxic. It's all about competition. Whatever happens, I’m going to continue what I'm doing. I'll put more time and effort writing and posting a blog post. I won't give up this little space on the web just because someone says it's boring. If you're a blogger and you are struggling for whatever the reason is, or you feel like quitting, please don't. Social networking sites come and go but your blog is yours to keep forever. Always think of those people who reads your blog. I hope I inspire you with this post. It's okay to take a break but don't quit. Cheers to all bloggers out there who will choose to write a length-y blog post instead of short caption on Instagram! Very true sis. Blogging is still on trend naman especially for businesses and entrepreneurs.. And lalo pa sa mga coaches, authors, hobbyists.. So, lezz go go pa rin bloggers..
Cmon! Let the bloggers rise up! Thank you for your blog. Continue to blog :) God bless! Blogging is sharing ideas and expressing your inner thoughts, Blogs will never fade. Continue writing, Nics! Writing will never fade because you get to express how you truly feel. Godbless! Ibe been on that phase too and i have forgotten that when i created my blog, i wasnt doing it for anybody but i am doing it for myself!